With 10 + 1 years of experience in content marketing, content writing and website development, Thoughtful Minds holds the strongest portfolio in all its domains including Digital Marketing ( SEO, SMO, Content Writing) in India. Th company aims at providing services with 100% client satisfaction. View our e brochure to know more about us. Thoughtful Minds web Services Pvt. Ltd. was founded in the year 2006 by Mr. Swadesh Rohilla as a proprietary firm dealing with the content writing services in India. At that time, it was the only company in India that was dealing with the content writing services alone. 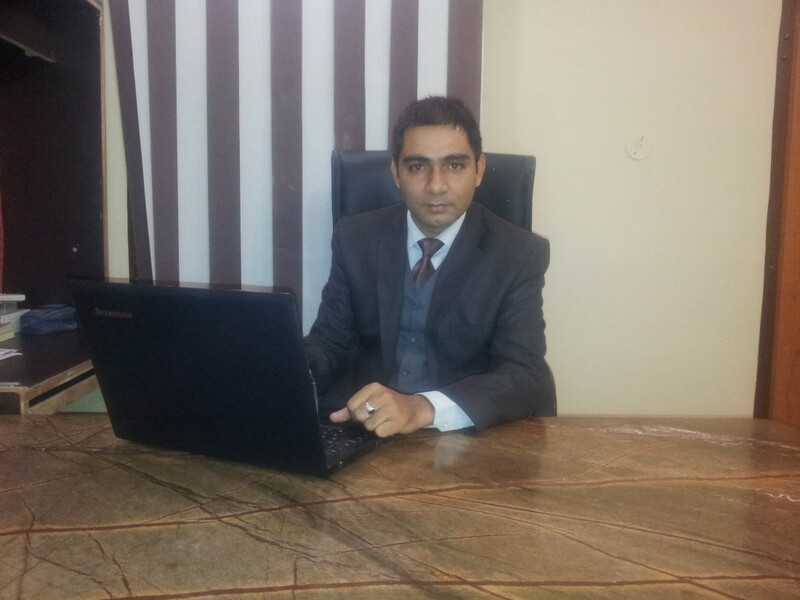 Swadesh Rohilla, CEO Thoughtful Minds Web Services Pvt Ltd. Thereafter, the company was converted into Private limited company and it started offering website design and development and became a leading website development company in Jaipur, India that even started offering online promotion/ search engine optimization (SEO) services. The company thereafter started offering brochure designing and printing and became a reputed advertising and publicity company in India. During this journey, the company got an opportunity to work with hundreds of web development projects and thousands of content writing assignments. Being a reliable SEO company in India, the digital marketing services in India offered by Thoughtful Minds are known for their affordable price structure and great returns. With advancement, the company stepped into Mobile App development and development of other applications. The company is registered in Jaipur, Rajasthan (India) with offices at US and Germany. Focusing on long term relationships, the company works on the grounds of customer satisfaction strategy and provides outsourcing services at minimum prices. If you wish to see our strength you must have a look at our most impressive portfolio. With this we enhance the flexibility of the organization. When we take up the IT services of our customers we assure for the best outcome in terms of quality, service confidence and cost efficiency. With years of experience the company has worked on almost every niche and has surpassed the result in all aspects. 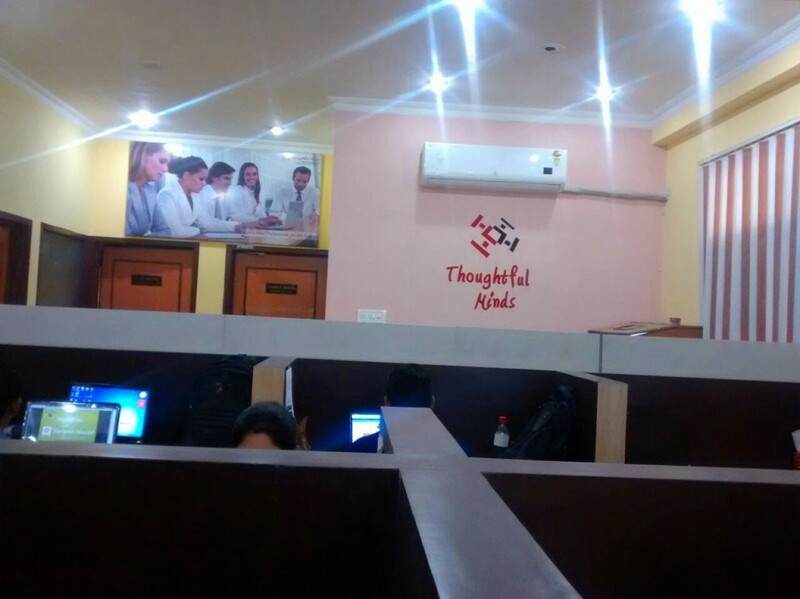 Thoughtful Minds is the hub for best minded people to assist its customer to release their energy in their respective areas. It is the only company in India, that offers work at home jobs and conducts regular campus recruitment to let freshers enter the corporate world. As we all know that Apps, Software, Web development and content writing is both technical as well as managerial. Our team at Jaipur centre is fully accredited with 11+ years of commercial experience to work with national as well as international clients. To deliver the best outcome in respect of software development, all you need is skilled manpower, time, expensive equipments and programs. Our well structured infrastructure and communication channel with no loophole ensures that any factor does not affect the work. In addition we provide an option to hire virtual assistant in India to help you save costs and manage your work efficiently. Offshore development is the cost effective technique that allows business to run smooth with technology. Thoughtful Minds have been offering offshore business services to many nations including US, UK, Australia, Canada and many more companies all round the globe. We make sure that the client’s proprietary software, intellectual property and specifications are worked with confidentiality. All rights of clients in respect of projects stay with them.